Congratulations to you all on your excellent sleuthing! Xi'an, China. July 2011. Courtesy of Bruce Burkhalter. Xi'an, China. May 2011. Courtesy of Anonymous. Xi'an, China. May, 2011. Courtesy of Anonymous. Honorable Mention goes to the following examples of shanzhai – obviously they’re not fooling anyone, but they won me over with their randomness and charm. Mandalay, Burma. January 2011. Courtesy of Gregg Butensky. Zagreb, Croatia. Courtesy of Ruadhán ÒNeill. Flushing, New York, USA. Couresy of Greg Autry. If anything totally outrageous happens on the “Apple Stoer” front (or if Steve Jobs ever emails me back), I’ll be sure to let you guys know. In the mean time, I’m probably going to get back to my regularly scheduled blogging, which, it may shock you to hear, does not generally deal with a certain Cupertino, CA-based electronics giant. Hope you’ll stay with me. Thanks for coming along on this wild ride! It’s been a blast. Video courtesy of Next Media Animation. 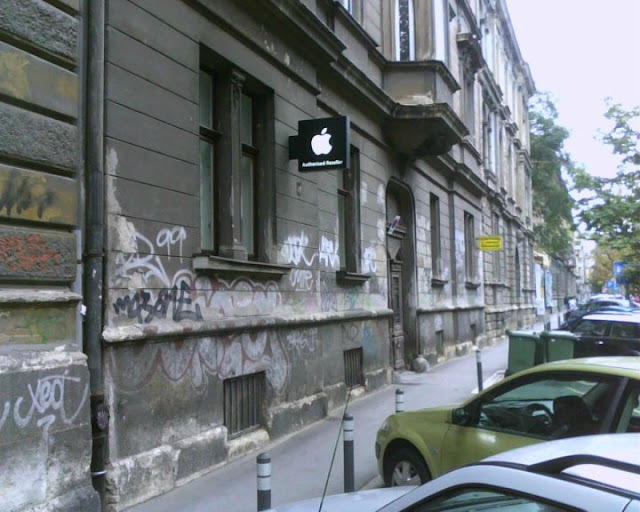 ETA: The reader who sent in the picture from Zagreb was under the impression that the Apple store depicted was a fake. Several readers have now written in saying that it is, in fact, an authorized reseller. I still like the photo, so perhaps the store in Zagreb will forgive me for keeping it up and consider it a bit of free advertising. BirdAbroad, Fake Apple Stores, Is Anybody Out There? can you post picture of the fake Hard Rock Cafe in Ho Chi Minh City and the fake Hooters in Cancun? Don’t they call Hooters Chi Chi’s in Mexico? There is absolutely a fake apple store in Germany, where I live! I went in, and they charge for things that apple would never charge for!! What’s the name of this city? I’m glad to run into you thanks to your recent 15 minutes of cyber-fame. I am very interested in China, and have enjoyed reading some of your other posts about life in China as viewed by you. I’m looking forward to more! Hahaha, the story just went up on CCTV 2 xD! Thanks, BirdAbroad for starting this sleuthing trend! “Apple Stoers” around the world can be amusing. GREAT job exposing this story to the world! 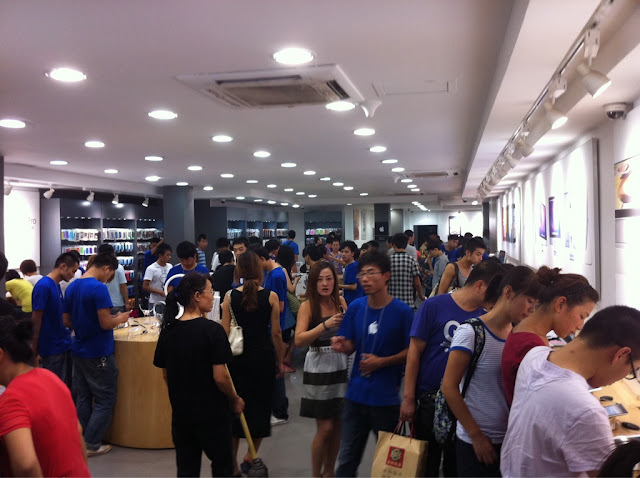 Hi, are the fake Apple stores considered an example of “Shanzhai” in China? Wow, nice work, let me know if you find a fake Blackberry store ! I don’t know too much about China, but it does surprise me that they are shutting some of these stores down. It does make one wonder how many other fake type of stores and products there is out there. Not just in China, but around the world. I’ve read the article on the bbc, which told the shops have been now shut down. Yes, the stores may not have been set up by apple, but does it really matters as long as they were selling genuine apple products.? I don’t see the point in you serving the interest of a huge multinational. But even that is beyond the point. The real sad point is that now several families in the community where you live have lost their livelihood and the people of your city has less to choose from and less accessibility to those products. Apple Stoers closed down according to BBC news. OK, I do think you are being a bit incendiary about this now BirdAbroad. It one of the pics it quite clearly says “Reseller” i.e. it’s a store authorised by Apple to sell Apple goods. These have strict guidelines over how things are presented, so of course it will look like an official Apple store! Like a franchise (well, it IS a franchise) it has to use the same/similar format. As for the “fake” stores (even the ones that were shut down) in China and beyond… well, if they are selling the genuine article, so what? There is no copyright on how you can present your wares in your store. There are lots of independent game retailers where I live – some present their products neatly and organised like in the big game stores, whilst others just shove all the goods in one crowded mess. Now if I was a business owner, putting my hard earned cash into it, I would invest in the former layout. 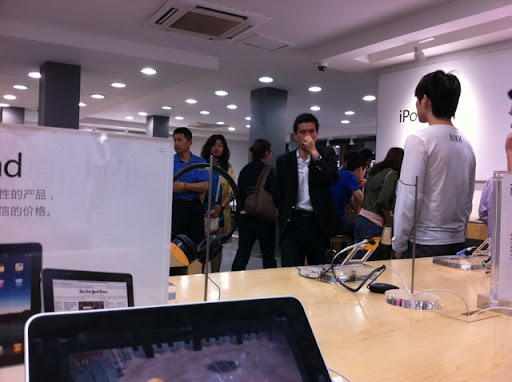 And it’s the same with these stores selling Apple goods… why change from a layout that works so well? Apple are masters of copyright and patents, yet with all its power they still can’t copyright a store layout. Maybe you should focus your attention on the stores selling goods billed as Apple products, when they are imitations (I wouldn’t call them cheap or fake, because some are rather costly to the average worker, and despite it not being Apple – shock – it still works, and works well)??? Would you feel so inclined toward defending the owners of the copycat Apple stores if they were, say, McDonalds? Or, a chain of health clinics like CentraCare (Florida)? Legal resellers pay a ROYALTY or a franchise fee to the owner of the brand. By striking out on their own, Apple loses. The consumer loses (warranties/guarantees?) And, as a copycat, Apple cannot monitor service, training or the product mix. I saw on the news that the original Apple knock off store was selling fake Apple products. He makes a good point about the picture from Croatia though. That sign is the “Apple Authorized Reseller” sign. That store at least is not pretending to be an Apple Store. Somehow I can help to wonder about the families that spent their entire life savings to open a store such as this, just to have a foreign sleuth take random pictures, with the excuse of working for a company they do not work for (which may or may not be illegal), and closing them down in order to support a big corporation gain even more profit. For the Croatia one, I would like to think that Apple have certain standards that their resellers have to meet in terms of how run down and graffiti-covered their stores aren’t. Thing is, that’s a store that sells apple products, among the others, not the apple church. That sign only means that it is authorized as reseller for apple products. I even doubt that’s the store wall, I guess the real store is in that building’s inner yard, through that door. If that’s the case the building has no connection to the store, only thing they were allowed to do is to put that sign on the outer wall. It’s an old building, protected one, you can’t just redesigned it as you please even if you own it. think what you want, but it is real ! Every part of Apple products is made in China so it would not be hard to assemble an iPad with a look alike OS. Wonder if that is happening? Jeff, a store layout is protected, especially if it involves using the logo as they have to make it look like a real Apple Store. You can’t go build a restaurant and make it look exactly like an Olive Garden and then put Olive Garden’s name on the side of it. Actually…you could, but I would be curious how long it takes for Darden to sue you for trademark/copyright infringement. You have been a gracious hostess. Still would I ask how this change to your internet presence – the additional attention, the multiplication of page views – has affected you personally. Once you’ve settled, of course. The one in Zagreb, Croatia is not “fake”; it clearly says “Authorized Reseller”, which is a program Apple has with companies in countries where Apple doesn’t have an actual store. Some of them might be actual authorized resellers. Many of them in Malaysia and maybe the original that broke the news as well. Are those jelly bean bins in the Flushing store? This is why China will never be a “great” nation. Thank you very much for a job well done! Be safe, BE PEACE! As gracious as Emily Dickenson. It’s sad that the culture that has the most ripped off from Japanese everything to the iconic Chanel suit is so incapable of ripping off other cultures in a nonawkward way. Come on, China, why waste time being the original inventors and innovators and jewel boxers, bring your AAA game to this. IMPRESS us with your knockoffs instead of playing it for laffs. Wow, that first one was super impressive. I’ve done quite a lot of travelling and bit in Thailand where we encountered some pretty impressive fake iphones and such but that takes the cake. Love it! Well done, you just put all those people out of work who didn’t even realise they were working for a fake store. If they were selling real apple products what does it matter to the consumer, places like this are what makes china great. I’ve no idea why people think shutting down these stores is a good thing, if they are doing good business apple should just buy them. I’m sure all those employees who thought they were making a career for themselves would thank you for ruining their lives. This whole blog is really so typical of people in general. Not the so-called copying of “APPLE STORES”, but the assumption that any store selling Apple products is automatically a “COPY” or “RIP-OFF”. Where do you think people bought Apple products before Apple stores existed (including the online apple store)????? Resellers. Sure the couple of Chinese stores are copying the look entirely, but it’s still just a reseller. Apple Storey is just an accessory store. 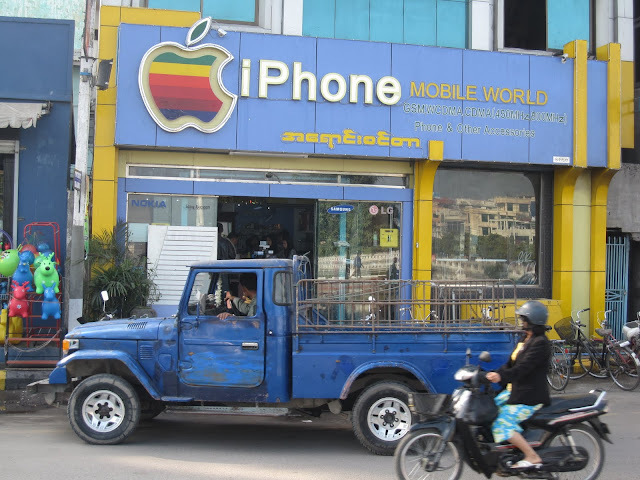 Iphone Mobile World, seriously, you’re including that as a counterfeit store? Unless they specifically claim to be owned by Apple (and to be an official reseller if they’re not official) then they are not breaking any laws. What do you want a reseller to do? HIDE the fact they sell Apple products? The one in croatia isn’t a fake store, it seems to say “Authorised reseller”, which means they are allowed to use the Apple logo in this way. You can really see East and West colliding in this ongoing story because in Asia there is not the same concept of copyright/plagiarism as there is in the West, and yet everyone wants high profile brands from the West. This is one reason in part why here in Vancouver, Canada, the university I am at is constantly harping about plagiarism… While a direct misrepresentation is wrong in any book, our concept of ownership of ideas in the West is somewhat questionable. In that vein, I have a posting on my page about doing a consulting gig involving Chinese ceramics and trying to authenticate them with a Letter of Provenance. how’re we know about the different from both? 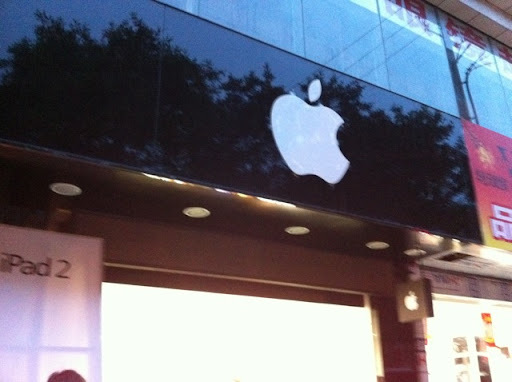 The newspaper tells me that the store that you had discovered in Kunming has applied to Apple for a Reseller’s license. 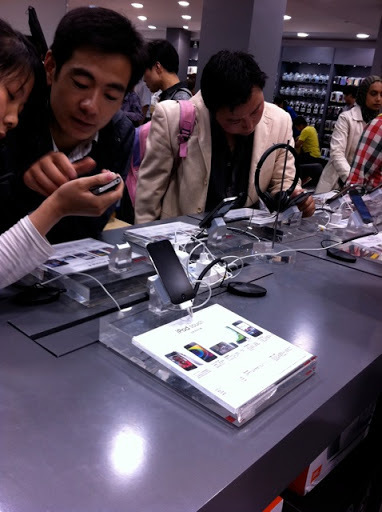 That they have the temerity to apply to Apple “after this fake business”, tells us that the store owners are connected to people who are in power in China. Saw this today thought you’d like it. Seems like the one in Flushing is a store selling aftermarket accessories, cases and the like? 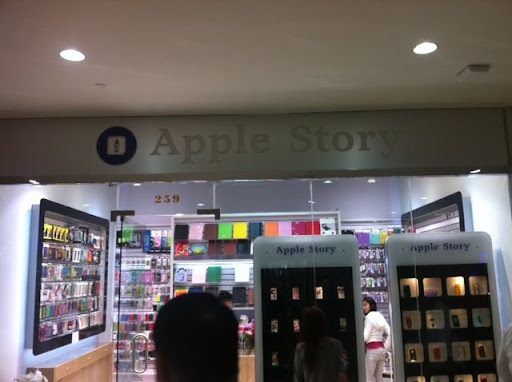 It’s not made to look like an Apple store, and is named “Apple Story”. That’s a legit business, if you ask me. 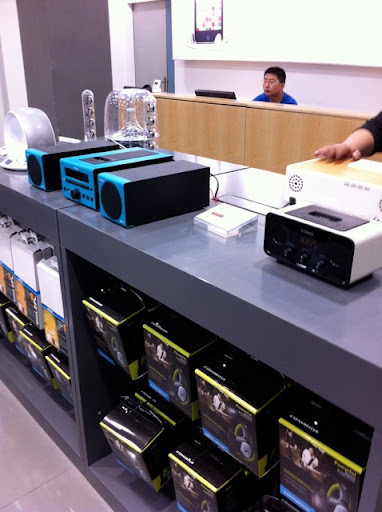 We have a lot of stores here in Australia that only sell phone cases, docking stations, speaker units etc. Wow, great job, your blog was picked up by several outlets as you already know. I just came from Mashable and it reported that the Chinese have ordered the closing of the Apple stores you’ve reported on. It is one thing to have a similar feel to a brand that you are trying to either promote or sell and completely another to copy, in look and feel, the brand itself. Most resellers here in the States have a similar look/feel to the Apple stores, but know there are lines they cannot cross. THIS is what this poster is getting at – and I agree – these companies have overstepped the boundary. Even in American Authorized Resellers, the employees are completely informed that the business being done is not being done directly to/through/for Apple, and will immediately tell you that if you should ask. I have followed this story since it debuted and have read just about every article written about this. To say that it is “OK” for these stores to do this is ridiculous. It is even more ridiculous to think that this poster should feel guilty for any repercussions that happen because of this story. It certainly isn’t her fault that someone in Kunming decided that they would cash in on the authenticity of a very respected American brand. If people have lost their jobs, you should be more angered by the deceptive business practices allowed to prosper in China – not berate this poster. Furthermore, it is more disconcerting that she had to go as far as cornering a manager before she could get any real answers about the authenticity of the store. To run a business where the employees ACTUALLY BELIEVE they are part of a corporation and to foster that atmosphere is absolutely appalling. I would go as far as to say it is disgusting. The fact that this owner is only NOW asking to be an authorized reseller is neither here nor there. I would be surprised if they were actually allowed to become one. Unfortunately, this is how things are done is China. This is one of the biggest reasons that other countries have problems trading with this country. It needs to stop. This is just ONE instance of this, however. I know there are a bunch of fake Samsung stores in China as well. If you think that Samsung doesn’t know about it and doesn’t take action, you are sadly mistaken. It is trademark infringement no matter how you cut it, and it is not OK.
Hi Habib – are you saying that you went online and checked for the one year warranty, and discovered that the warranty had expired the day *before* you bought the iPhone?? And I Thought only Chinese People Are Doing These Stuffs, But Came Across This Article Via Google. They are very common in China, I go to there a lot, can see them in any cities. Not a big deal for them seems like. Shame. So you know that the Zagreb store is not a fake, but you keep it up because you like the photo? I assure you it’s not great advertising for that poor business when there are photos on news sites all around the world where it is labelled as a fake (I recognised it because I have bought something there before). I understand that you don’t control the news, but please be mindful that this is someone’s livelihood, so there is no need to put it in the same class as the criminal activity that is going on elsewhere because you ‘like’ the fact that it looks illegal. Great work on going viral btw.